I had my first class field trip today. 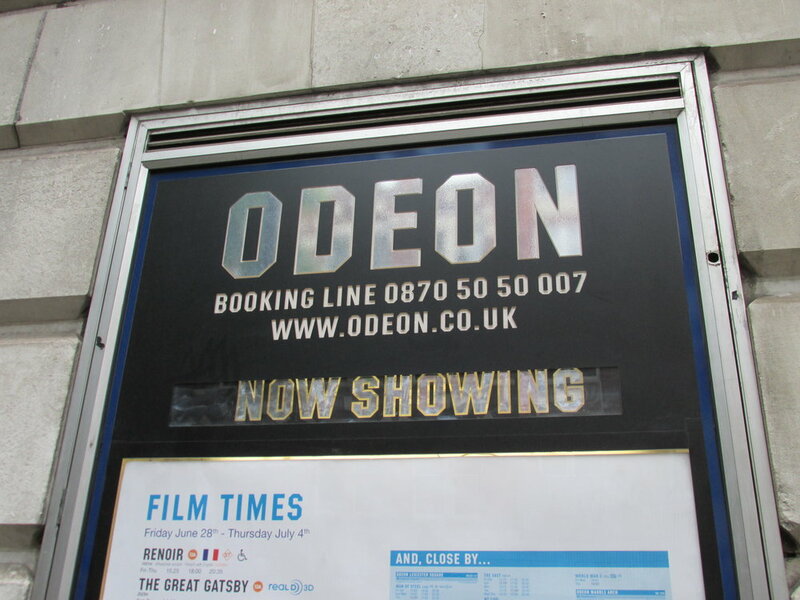 My film studies professor led all of us on a tour around London in search of famous cinemas. Some were old, some were new, and some were very, very cool. 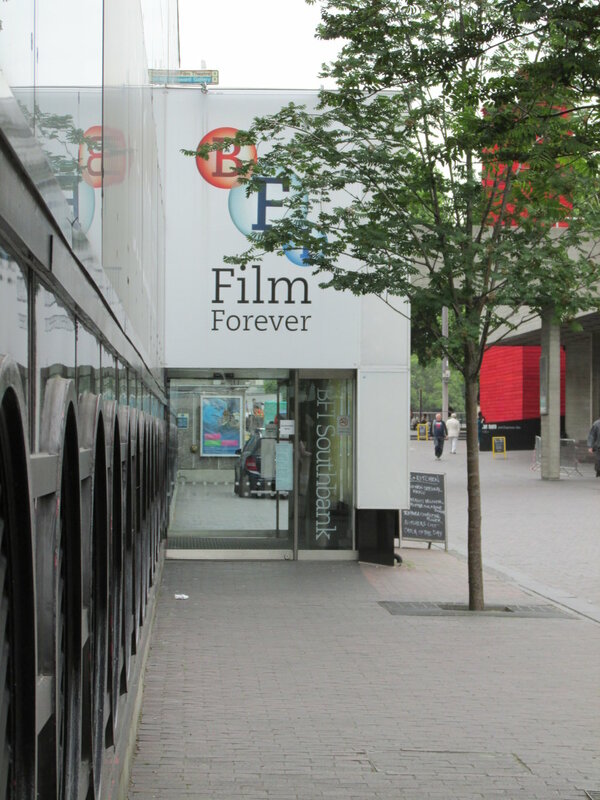 After we stopped and looked at several cinemas, we headed down to South Bank to visit the British Film Institute. Since we got there around noon, it was time to break for lunch. Shannon, Katie, and I ate at Wagamamas, which was absolutely delicious. We did feel bad, however, about not finishing our food. 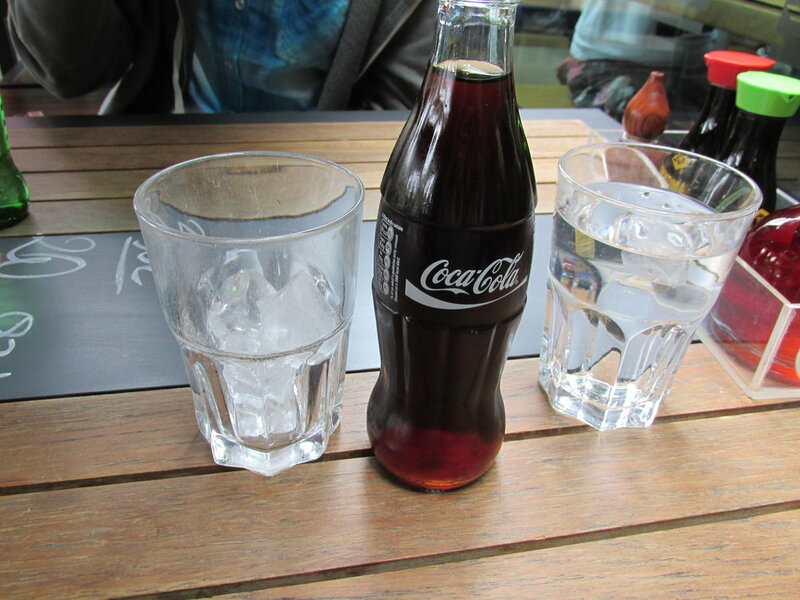 In Europe, if you don’t finish a meal, it is assumed that something was wrong with your food. In our case, we simply didn’t have the time to finish eating everything before heading back. Luckily, I think we were able to make the waitress understand that we did indeed enjoy our meal. Upon arriving at the British Film Institute again, we split up into groups. Shannon, Katie, and I headed over to the store to check out some books and DVDs. Since I’m a huge movie buff (shocking, I know), I purchased three titles: Rabbit Hole, Archipelago, and a David Lynch triple feature with Mulholland Drive, The Elephant Man, and Inland Empire. I can’t wait to watch them! We purchased tickets to see a film outside of class in order to meet one of our four requirements. Around five, we took the Tube back to South Bank to see Lilith, which turned out to be a phenomenal film. We took the Tube back to the university, went out to the pub, and finally came back. All in all, it was a fantastic evening. I have classes tomorrow, but I’m looking forward to them. Also, I’m becoming a pro at the Tube. I think I’m becoming much more optimistic. What do you think of these blog posts so far? I’m enjoying reading your blog everyday and look forward to reading about school and your adventures. Thank you! I’m so happy that you’re reading it!